Last edited by SportPilot on Sun Mar 20, 2016 11:40 pm, edited 3 times in total. Last edited by Flocker on Sat Jul 23, 2016 3:17 pm, edited 1 time in total. Last edited by SportPilot on Tue Jan 06, 2015 3:58 pm, edited 1 time in total. Love to, but Karen and I are in Peru, on the way home from London. Indiana and Ontario, if you were wondering! Last edited by SportPilot on Tue Jan 06, 2015 3:57 pm, edited 1 time in total. FastEddieB wrote: Love to, but Karen and I are in Peru, on the way home from London. Are you geographically challenged much, Eddie? Sorry Jim can't make this one! Last edited by SportPilot on Tue Jan 06, 2015 3:56 pm, edited 1 time in total. SportPilot wrote: Flying or driving? 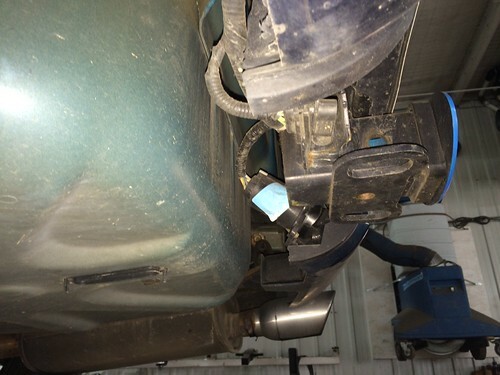 Mods got done to the receiver on our Flex at a dealer in London, to better tow our travel trailer. In Peru now, headed the rest of the way home tomorrow. SportPilot wrote: Are you home Christmas week? I may fly the Lake Norman SkyCatcher Tuesday. Depends on the weather and availability, of course. I'll keep that in mind, let's see what the weather does too? SportPilot wrote: Maybe you need an Equalizer hitch. They work great. 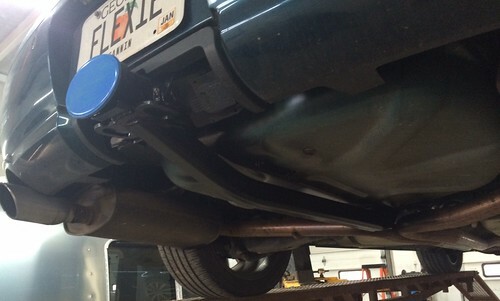 Our Ford Flex tow limits are 4,500 lb total (with weight distribution) and 450 lb tongue weight. Our CampLite 21BHS advertised 3,499 lbs empty and 440 lbs tongue weight - the basis on which we thought the Flex would make a good tow vehicle. 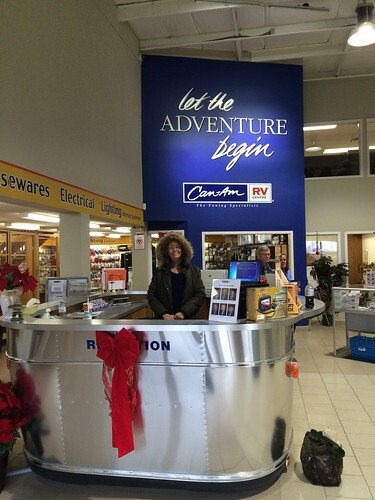 The shop in London, CanAm RV, specializes in setting up smaller cars to tow larger trailers. 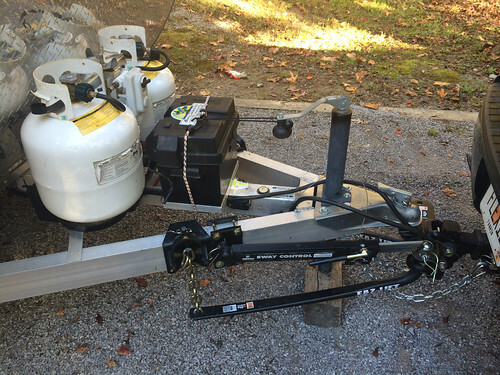 I had consulted with them in selecting the EAZLift hitch and Husky sway control. Had the rig out on several long trips and it tows very well. The EcoBoost V6 has 365 hp, so power's not a problem. When we finally got around to weighing our trailer loaded, the trailer was at 4,480 lbs (whew!). But the tongue weight was 624 lbs, way over the 450 limit. Andy at CanAm said the Flex could easily handle that if the receiver was reinforced - the limit was due to the receiver just attaching to the unit construction rear with insufficient support. Anyway, they've done hundreds of Flex's, and we were headed to Indiana anyway, and we like to road trip, so London it was! Photos of the reinforcement to follow. Last edited by FastEddieB on Wed Dec 03, 2014 7:57 am, edited 1 time in total. And a pretty cool front desk! Last edited by SportPilot on Tue Jan 06, 2015 3:55 pm, edited 1 time in total.